Representations and Warranties Insurance Beyond the Current Cycle of Merger Activity: Will Those Chickens Come Home to Roost? Representations and warranties insurance transfers the risk of certain known unknowns and unknown unknowns from transaction participants to the underwriting insurer. Such risk transfer can create moral hazard especially where one of the parties to the transaction, i.e. the seller (and also the underwriting broker), receive the majority, if not all, remuneration on the deal and exit the stage before the unknowns become knowns. It also can create a situation where insurers who seek an expanded share of what has been called a “prolonged sellers’ market” may face deteriorating claims and be left with an undesirable position when the economic waters recede. Representations and warranties insurance provides coverage for financial losses resulting from a breach of a representation or warranty made by a seller in a purchase and sale agreement. It is a subset of transactional risk insurance and sometimes called M&A insurance or warranty and indemnity insurance. Counterparties used to address these type of risks through negotiated escrows which kept the risk allocated among the parties to the transaction. Transactional parties often now lay that risk off to an insurer’s balance sheet. The market for representations and warranties insurance exploded in the past decade. According to one of the major brokers, total industry limits (combined primary and excess) approached $14.7 billion and generated approximately $526.5 million in premium on more than two-thousand issued policies in 2016. That is remarkable growth for a product that reportedly generated $10 billion in bound coverage worldwide in 2013 and was on virtually no one’s radar screen before the recent M&A uptick which followed the Great Recession. As of 2018, a representations and warranties policy is generally priced between 2.25% to 4% of the limit of liability with market capacity and appetite for large transactions increasing. Typically, 1-3% of enterprise value is retained, but it has been reported that recent retentions have gone below 1% as the market tightens among insurers competing for market share. AIG was one of the first insurers to write representations and warranties insurance (referred to as warranty & indemnity insurance outside the domestic market) and has published three annual reports on its claims experience. According to those reports, approximately one-in-five (19.4%) policies written result in a claim. The largest deals from a dollar perspective (deal size over $1 billion) generate the highest claims frequency (24%) and the largest average claim ($19 million). An increased year-on-year claims frequency was reported across all classes of deal size. According to AIG, nearly half of all material claims (46%) resulted in what was termed a mid-sized payout (payment on the claim between $1 million to $10 million) with an average settlement of $4 million over the five year period of policies written between 2011-2016. That reported average settlement was up, from $3.5 million, in the prior report. In 2018, AIG for the first time provided data broken down on breach type by industry sector as set forth below. AIG’s reported claims figures suggest that insureds have become more sophisticated in their use of the product with an impact on the frequency and severity of claims. In 2017, the United States Court of Appeals for the Seventh Circuit became the first court of review to address a claim for indemnity under a representations and warranty policy in a published opinion. A $23.4 million stock purchase deal for a specialty dairy products company which resulted in a $10 million settlement between the corporate buyer and the family members who had sold their 100% interest in the company was at issue before the court. The sellers purchased a seller’s warranty and indemnity insurance policy with an aggregate cover of $10 million over a $1.5 million retention which provided coverage for various representations made in the deal documents on a claims made basis with a policy period extending for six years after the closing. The Seventh Circuit affirmed summary judgment in favor of the insurer. The court held that the settled claims were for breach of general representations for which the deal documents capped damages at $1.5 million. As a result, the damages attributable to covered claims (fraud claims were excluded under the policy) were limited to the amount of the insured’s $1.5 million retention such that the insurer had no liability. The court recognized that had the settlement been structured in a different way or the claims been litigated, such that allegations were made against the sellers in a complaint filed with a court of record subject to Federal Rule of Civil Procedure 11 or a state court equivalent, then the insurer might have been liable. The saving grace for the insurer here appears to have been that the insureds rushed to settle and did not structure their settlement in a way to invoke coverage. The court also recognized that the insured failed to give the insurer sufficient time to review and approve/reject the settlement before consummation. While Ratajczak resulted in a decision for the insurer, the opinion left much room for creative buyers or sellers to structure claims in a way to obtain coverage where the policy drafter might have intended otherwise. M&A activity remains robust and many leading experts predict the trend to continue through 2018. Representations and warranties products appear here to stay and have a place in a well-managed portfolio. However, these policies have long tail risk typically providing coverage for general representations up to three years and fundamental representations up to six years with some market participants reportedly offering longer coverage periods in an attempt to capture market share. What will happen if the current M&A market turns and current policyholders look to hedge loses by making increased claims or potentially assigning their interest in policies including assignments made in bankruptcy. Insurers would be well served to keep an eye on market conditions and work through strategies to address any increase in claims percentage or severity in advance of any economic downturn as such claims experience may directly impact loss ratios. The phrase unknown unknowns was popularized by former Secretary of Defense Donald Rumsfeld who on February 12, 2002, stated at a Department of Defense news briefing: “Reports that say that something hasn’t happened are always interesting to me, because as we know, there are known knowns; there are things we know we know. We also know there are known unknowns; that is to say we know there are some things we do not know. But there are also unknown unknowns – the ones we don’t know we don’t know. And if one looks throughout the history of our country and other free countries, it is the latter category that tend to be the difficult ones.” Transcript available at http://archive.defense.gov/Transcripts/Transcript.aspx?TranscriptID=2636, last visited May 24, 2018. AIG, Claims Intelligence Series, M&A Insurance – The New Normal?, May 2018, available at https://www.aig.com/content/dam/aig/america-canada/us/documents/insights/aig-manda-claimsintelligence-2018-r-and-w.pdf, last visited May 24, 2018. Gallagher Market Conditions, January 2018, available at https://www.ajg.com/media/1701903/rw-market-conditions-2018.pdf, last visited May 24, 2018. Id., Source of Reprinted Graphic. Ratajczak v. Beazley Solutions, Ltd., 870 F.3d 650 (7th Cir. 2017). See, JP Morgan’s 2018 Global M&A Outlook, available at https://www.jpmorgan.com/jpmpdf/1320744801603.pdf, last visited May 24, 2018, and Deloitte’s The State of the Deal, M&A Trends 2018, available at https://www2.deloitte.com/content/dam/Deloitte/us/Documents/mergers-acqisitions/us-mergers-acquisitions-2018-trends-report.pdf, last visited May 24, 2018, among other forecasters. Duane Morris LLP is pleased to announce that Tomas M. Thompson and Mark A. Bradford have joined the firm’s Trial Practice Group as partners in the firm’s Chicago office. Thompson and Bradford, who join from DLA Piper, follow the addition in the firm’s Chicago office of partners Mark D. Belongia and Lisa T. Scruggs, associate David B. Shafer and associate Brian L. Dougherty. Duane Morris is pleased to announce that partner Paul J. Killion of the firm’s San Francisco office will receive a Burton Award for Legal Achievement at a gala ceremony to be held on June 9, 2014, at the Library of Congress in Washington, D.C. 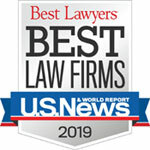 This honor is given to only 30 authors selected from entries from the nation’s 1,000 largest law firms. Killion was selected as a 2014 Distinguished Legal Writing Award winner for an article he wrote about how to use Internet sources in legal writing. “Warning: The Internet May Contain Traces of Nuts (Or, When and How to Cite to Internet Sources)” appeared in California Litigation: The Journal of the Litigation Section, State Bar of California, last spring.